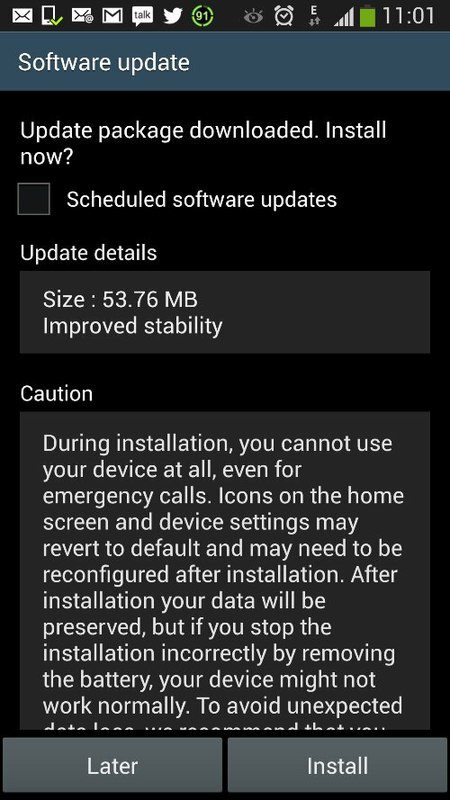 As one can see from the screen shot an update for improved stability is being rolled out for the international version GT I9500 Samsung Galaxy S4. This entry was posted in Uncategorized and tagged better, Galaxy S4, I9500, International, OTA, Samsung, stability, Updated. Bookmark the permalink. All the content posted here works best to my knowledge. If anything happens to your system while tweaking, I won't be responsible in any way. Please make a System Restore Point before making any changes in your system to avoid problems if any.